Only a few days removed from the UFC 200 festivities and the three-event International Fight Week, the UFC heads to South Dakota for the first time in the promotion’s history for UFC Fight Night 91 at the Denny Sanford Premier Center in Sioux Falls . The first trip to South Dakota will be headlined by a bantamweight fight between Michael McDonald and former flyweight contender John Lineker. Lineker has spent his past two fights at bantamweight, where he has notched wins over Rob Font and Francisco Rivera. 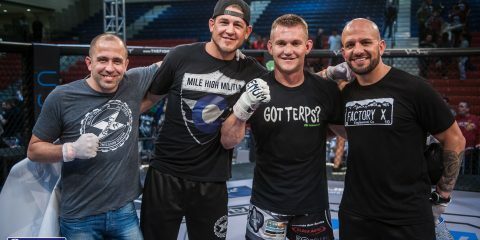 McDonald, meanwhile, has been on an interesting career trajectory after being one of the top bantamweights in the world and earning a title shot. After being sidelined for a little over two years, McDonald will compete for the second time in 2016. The co-headliner was going to be a division-shaping fight between Tony Ferguson and Michael Chiesa, but Chiesa was forced to pull out of the contest. Now, Ferguson will face promotional newcomer Landon Vannata, who has remained undefeated so far in his career. Ferguson is out to extend his seven-fight winning streak that dates back to October 2013. The main card also houses a flyweight fight between two prospects Louis Smolka and Ben Nguyen. At middleweight, Tim Boetsch will look to get back into the win column against former The Ultimate Fighter contestant Josh Samman. The UFC Fight Night 91 preliminary card airs live on UFC Fight Pass.The main card airs live on Fox Sports 1 beginning at 9 p.m. ET. This edition of Toe-to-Toe is brought to you by Combat Press writers Vince Carey and Sal DeRose. Headliner Michael McDonald had his first fight in more than two years when he defeated Masanori Kanehara in January at UFC 195. Given the long layoff, how many fights does McDonald, a title challenger just a few fights before his hiatus, need to win before he can be considered worthy of a title shot again? Is a victory over current opponent John Lineker really enough? Can he even get past Lineker? Carey: The crazy thing about McDonald’s hiatus is that he basically dropped off the face of the earth for two years. Most of the time when a guy who’s considered a top contender like McDonald gets sidelined for a lengthy amount of time, the MMA community at the least seems to get regular updates on their status and an idea of how much longer they’re going to be out. Outside of an (extremely) occasional interview or radio appearance, McDonald was a ghost for two years. This definitely set him back as far as his bantamweight title aspirations go. It’s going to take a bit for McDonald to remind fans just how good he can be, so a title fight following this bout is probably out of the question no matter how good “Mayday” ends up looking against Lineker. However, a dominant or eye-opening performance could easily jump-start things and push McDonald into a title eliminator in the near future. 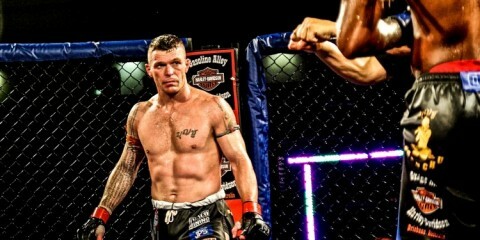 The 135-pound division is as stacked as it’s ever been, but Lineker is one of the guys that a lot of fight fans see as a major player in the future of the division. A McDonald win over the former flyweight would be a huge milestone toward McDonald’s path back to a title fight. A victory over Lineker would be a huge step in the right direction for “Mayday,” but that’s only because this is far from an easy fight for McDonald. Since joining the UFC, Lineker has posted an 8-2 record and has really only been truly dominated once in his loss to Ali Bagautinov a few years ago. If Lineker had been able to get his weight-cutting issues in order — he missed the flyweight limit an astounding four times out of eight — it’s very likely “Hands of Stone” would have already competed for UFC gold at this point in his career. Lineker hits like a tank. He is an extremely talented fighter, and he’s more than likely going to give McDonald everything the former title challenger can handle, especially early on. However, this will be the first time Lineker is set to go five rounds in the UFC. While his cardio should obviously be improved now that he’s not cutting a ridiculous amount of weight to hit 125 pounds, it’s still yet to be seen if he has the gas tank and submission defense to last 25 minutes against one of the more well-rounded bantamweights out there. For that reason alone, I’m picking McDonald by late stoppage. However, all it takes is one Lineker punch to prove this prediction horribly wrong. DeRose: Exactly. There is a lot of work to do for McDonald to get back into the title picture. This isn’t the same bantamweight division from two years ago, even if Dominick Cruz is back at the top of the mountain. With Cruz as champion, the line has grown longer for fresh challengers awaiting their turn. That, unfortunately, puts McDonald at the back of the pack. Who knows how he’ll fight against Lineker, who has proven to be a tough opponent for anybody. Kanehara is a good start to McDonald’s run to the top, but he isn’t on par with somebody like Lineker. Right now, even if McDonald does win, he is a few fights away and needs at least one victory over a top-five opponent to even enter the discussion for another title shot. Luckily, McDonald is young and has a lot of room for growth. He needs to be patient on a march back to the top. Lineker is going to be a very hard opponent who has a lot of power in his hands. McDonald’s an all-around fighter, though, and he will do well if he can keep Lineker at range and avoid the power shots. A victory is within McDonald’s grasp. Tony Ferguson went from a headlining bout opposite Michael Chiesa to a co-main event opposite Landon Vannata once Chiesa withdrew with an injury. Does Vannata pose a true threat to Ferguson? DeRose: The beautiful thing about combat sports is that everybody has a chance to beat anybody on any given day. The chance may be slim, but it is undoubtedly there. Mistakes happen, people get caught and the fight is over quicker than it began. The most dangerous thing that Ferguson could do is to overlook Vannata and underestimate his abilities. Still, the chance is slim for Vannata to win this fight. Let’s call it a puncher’s chance. Ferguson was training for somebody higher up in the rankings and has already beaten fighters higher up. That experience will undoubtedly help him here. Ferguson has a nasty striking skill set that makes him extremely dangerous for guys in the top 10. Vannata is fighting an uphill battle here. He has to find an opening in Ferguson’s striking. Maybe if he makes it more of a brawl, Vannata will have more success and be able to clip Ferguson. Ferguson is a hard guy to knock down, let alone knockout, but the chance is still there. Still, I’m sticking with Ferguson by knockout. A win doesn’t do much to push him forward into the title picture, especially now that Eddie Alvarez has become the lightweight champion. The whole line has been reset and a fight against Chiesa would have been more desirable. Carey: It’s a little ironic. Ferguson gave Khabib Nurmagomedov a ton of flak for taking a short-notice fight against a relative unknown after Ferguson was forced to pull out of their bout earlier this year. Now, Ferguson is set to do the same exact thing less than three months later. And much like when Nurmagomedov came out and earned an easy victory over an overwhelmed Darrell Horcher in April, Ferguson should walk through Vannata. The undefeated Vannata trains out of Jackson-Winkeljohn, one of MMA’s top teams, and has won seven of his eight fights by stoppage. He’s definitely not someone that Ferguson should overlook, but I tend to agree with Mr. DeRose’s opinion: the only way Vannata wins this fight is by landing an unexpected knockout punch. Ferguson’s boxing is awesome. He’s active and dangerous on the mat, and his takedown defense is good enough that I was curious to see how Nurmagomedov would deal with it when they were set to fight earlier this year. Nurmagomedov is the best wrestler in the division, and maybe the UFC, so that’s one high compliment for Ferguson’s wrestling ability. Ferguson should win this one quickly and decisively. Most importantly, however, he needs to do it injury-free so he can get back in there with a top-five guy in the next few months. If Ferguson would have been able to fight and beat Chiesa this week, he might have been able to sneak his way into a title fight with Alvarez now at the top and Nurmagomedov seemingly never healthy. With the lightweight division in a major state of transition right now, big opportunities could be headed Ferguson’s way. Louis Smolka and Ben Nguyen are on the outside looking in at 125 pounds. Will a victory here make the winner a top-10 flyweight? Carey: This is a fight that could easily be entertaining enough to earn these guys some bonus money. Nguyen has been phenomenal through two UFC appearances thus far, scoring first-round stoppages in both bouts and proving his versatility by earning a quick submission win over Ryan Benoit in his last outing. On the other side of the cage, there’s Smolka, who’s been sneaky good during his five-fight UFC run. Smolka has put together a 4-1 record, with his only loss coming to former title challenger Chris Cariaso by split decision. Both guys have a lot of momentum and are in the running to get a big fight with a victory here. This is one of the more crucial fights on the card. As good as Nguyen has looked in his two Octagon wins, I can’t really envision him getting a win over Smolka, one of the more underrated fighters in the division. The Hawaiian earned the biggest win of his career when he took out Ireland’s Paddy Holohan in a fantastic headlining scrap in Dublin last fall. 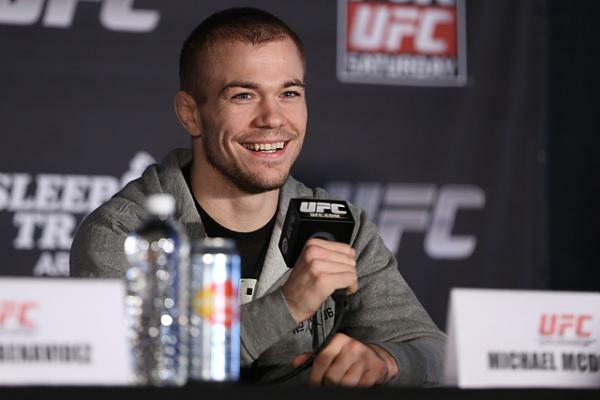 Smolka, who is just 24 years old, is one of the most promising young fighters on the UFC roster. Smolka will ruin Nguyen’s homecoming — “Ben 10” was born in Sioux Falls — and win this one pretty decisively to earn his fourth straight UFC victory. As far as breaking into the top 10? Well, a win over Nguyen isn’t going to shake up the standings as much as Smolka would like. He’s still going to have some work to do. The good news is, he’s almost guaranteed to get a shot at a top guy if he takes care of business on Wednesday. I wouldn’t be surprised at all if he found himself not only in the top 10 but in legitimate in title contention by the time 2016 comes to a close. DeRose: Smolka is highly underrated. It could be that champion Demetrious Johnson has set the bar so high and therefore makes everybody else look significantly worse. Smolka is mostly an afterthought, it seem, which is upsetting. 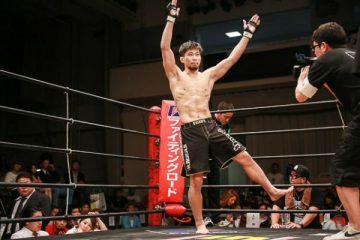 He has a chance to do something special by jumping to the forefront of the flyweight division and becoming the next possible contender in the division. Smolka is certainly more likely to crack the top 10. He is just a couple of spots away. Nguyen, on the other hand, is still finding his footing in the division. He has looked good, but he isn’t one of the top flyweights yet. Smolka’s lone loss came against the aforementioned Cariaso. Now, three fights later in his career, that same match-up could definitely produce a more competitive fight — one where Smolka could take home the win. 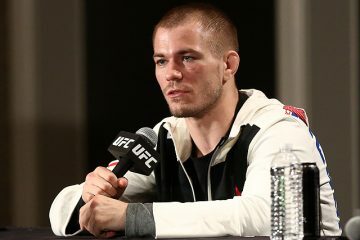 The division is starving for a new challenger, and Smolka could be it. Nguyen could certainly get close to the top 10 with a victory. Close, but not in the top 10. However, Smolka should win this fight rather decisively. A few years ago, Tim Boetsch was coming off a couple of career-changing victories that had put him on the short list of middleweight contenders. Then, the wheels fell off. Boetsch has posted a 2-6 record since late 2012. Can Boetsch, who is currently in the middle of a three-fight skid, turn things around and save his job when he goes up against Josh Samman, or will this be the last we see of “The Barbarian” inside the Octagon? DeRose: This is a tough fight to predict. Both guys are very capable of securing the knockout victory. It’s easy to fall into a trap and give Boetsch too much credit for his past successes, but in his last few fights he hasn’t looked anything like the man who came from behind to beat Yushin Okami. Boetsch hasn’t been the same fighter since he beat a debuting Hector Lombard at UFC 149. His 2-6 mark over his last eight fights is staggering. His two victories came against Brad Tavares and C.B. Dollaway, a pair of good fighters, but Boetsch hasn’t looked like a world-beater. Boetsch’s biggest strength lies in his strength and power, but these elements of his game have faded. Tavares is the only person he has knocked out recently. Age — Boetsch is 35 — might have something to do with it, but he needs to fix this issue if he wants to stay in the UFC. Samman has been a revelation since his time on The Ultimate Fighter. He is coming off a loss in his last fight, but he started his UFC career with three straight victories, each more impressive than the last. The stars should align perfectly for Samman, who has shown himself to be a power striker. Boetsch has been straight knocked out in his last two fights. Fans will also remember Samman’s straight knockout victory over Eddie Gordon. That head-kick knockout will last a lifetime. Carey: Yes, we do turn too much of our attention to Boetsch’s past successes in the Octagon. The knockout over Okami was a classic moment with a classic call on commentary from an insanely hyped Joe Rogan. The win over Lombard, despite it not being pretty, felt like the start of a big step in the right direction for Boetsch. If we’re being honest, though, Boetsch hasn’t looked all that great since then. It’s hard to forget the comeback against Okami or his big-brother toss of David Heath back in the day, but this Boetsch isn’t that guy. 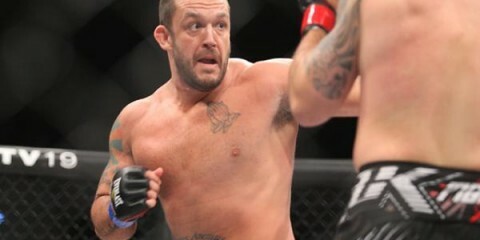 We’re going to see the last of “The Barbarian” in the UFC this week. In his last fight, Samman got caught by Tamdan McCrory, one of the craftiest submission guys in the UFC. However, I, too, feel that he looked increasingly better every time we’d seen him prior to the loss. There’s a lot to like about Samman’s game, from the power to the sneaky good submission game, and while he might not be ready to hit the top 15 quite yet,he will be pointing in the right direction if he scores a win over Boetsch. Samman wins this one impressively and possibly early, depending on how quickly Boetsch starts to brawl. Carey: Lauren Murphy and UFC newcomer Katlyn Chookagian. I’m intrigued to see what the undefeated Chookagian can bring to the table against an established fighter like Murphy. It wasn’t all that long ago that Murphy was an undefeated prospect looking to make waves in the UFC after winning an Invicta belt, but tough losses to former title challengers Sara McMann and Liz Carmouche ended up killing any sort of momentum she had going for her. Murphy just recently got things back on track with a win over Kelly Faszholz in February, and she’ll look to move her UFC record to .500 against Chookagian. There’s a lot to like about Chookagian’s resume. She’s undefeated as both a professional and an amatuer, with a combined 14-0 record. She has about double the experience that her pro record suggests, and her level of competition has been solid for an up-and-coming female fighter trying to find fights outside of the UFC. She’s fought on a relatively big stage before while competing for the World Series of Fighting a few years ago. Murphy will undoubtedly be her biggest test, though, so it will be interesting to see if her undefeated record holds up against a completely different caliber of competition. DeRose: Cortney Casey and Cristina Stanciu. Casey looked impressive against Joanne Calderwood in her UFC debut. It was a great back-and-forth brawl that was highly entertaining. Casey has been on the losing end twice now in entertaining fights. She lost her last fight to Seo Hee Ham. Stanciu showed some promise before making her way over to the UFC. She debuted inside the Octagon as an undefeated prospect, but she is now coming off a loss. Both fighters could really use a win to stay on the roster. That alone makes this a good fight, but their previous fights put it over the top. DeRose: A good beer or, perhaps at least in my case, a nice apple ale. There are a few fights flying under the radar here. There have been numerous cards in the past week, but this card contains some fights that could possibly help shape the future of certain divisions. Enjoy it, relax, throw back a cold one and take it all in. Carey: I’m usually a huge stickler about making sure I see every fight card live (and I’ll probably end up ignoring my own advice here, but…). After three long events in three days, however, I’m suffering from a lot of fight fatigue. So, pair this one with your DVR. We just capped off a weekend that featured four title fights, Anderson Silva stepping up on two days’ notice to battle the light heavyweight champion and the return of Brock freaking Lesnar. No one’s going to judge you too harshly if you aren’t ready to jump back into it less than five days later.